What a rookie season for eight year-old Mackenzie Butler of Jackson, Georgia. with her first big win at the Grits Blitz in Albany, Georgia in the 8 and 9 year old bracket race for the LB Trailer Series. and 3rd place in the 8 and 9 year old bracket for the series. She earned the title of the 8 and 9 year old track champion for her home track, Silver Dollar Raceway. 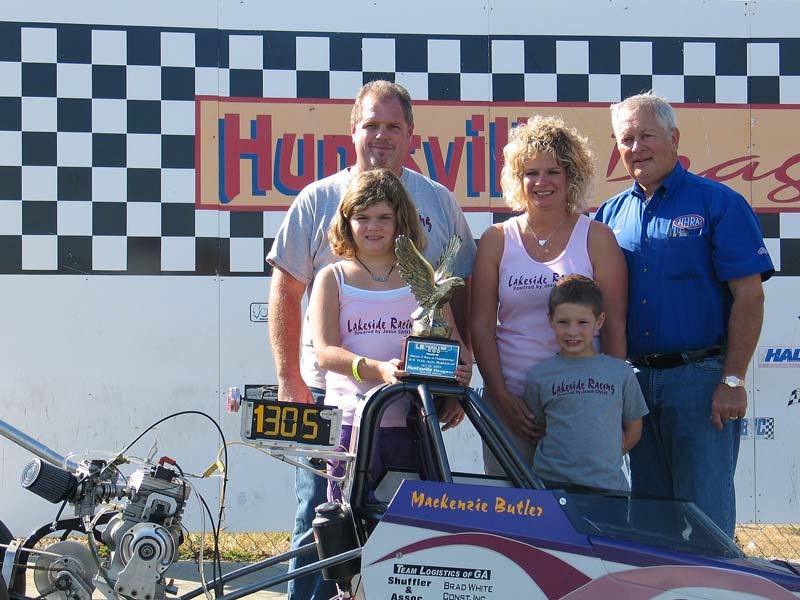 She was invited to the Race of Champion in Huntsville, Alabama, where she finished in the runner-up spot. Mackenzie gives God the credit for a great 2007 season and is already looking forward to racing in 2008. Mackenzie says racing is all she thinks about, and she had a very exciting first season.